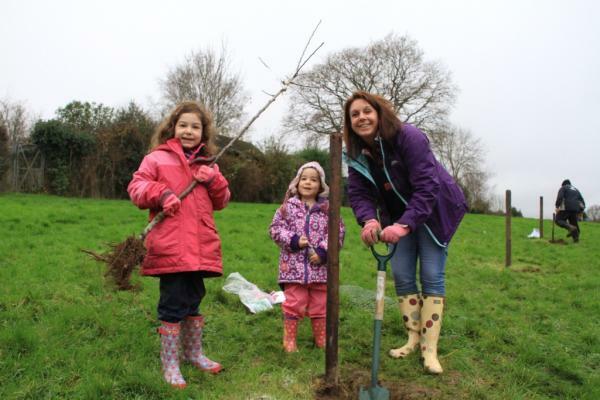 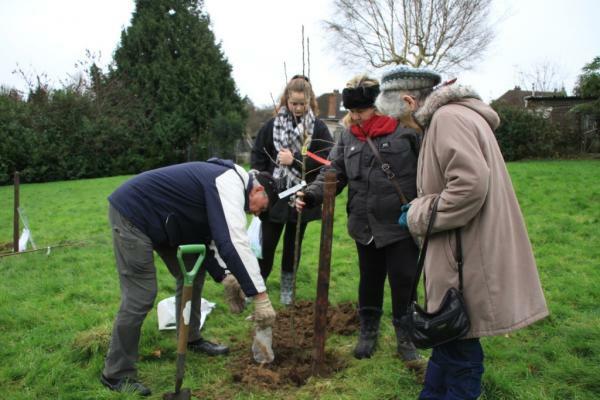 Saturday 12th December saw the second phase of Community Orchard planting take place, with each tree sponsored by an individual, family or organisation linked to the Park. 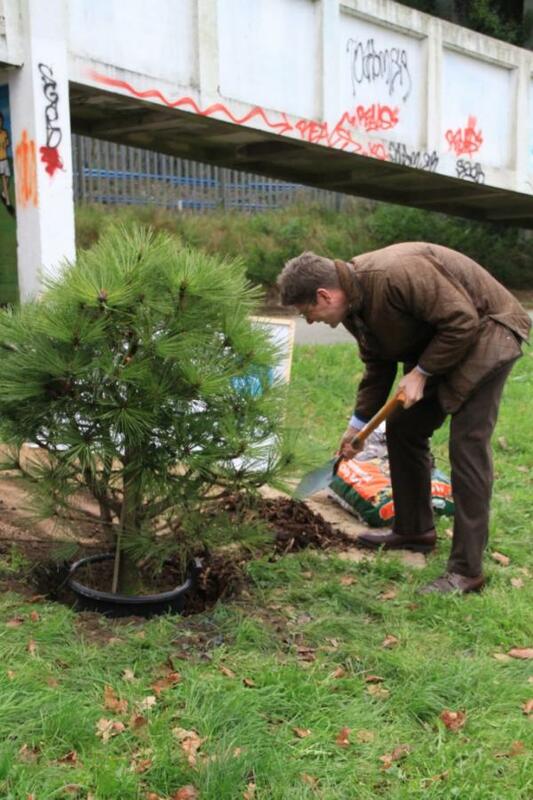 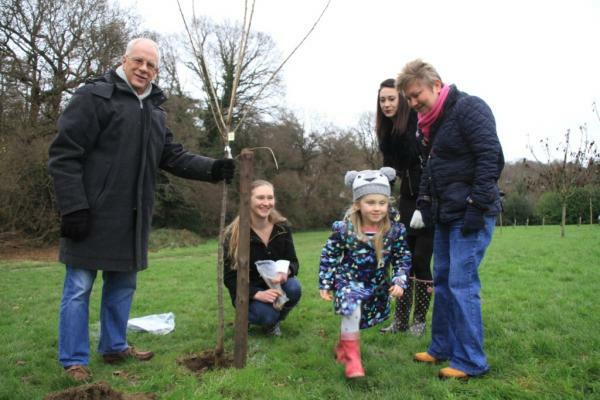 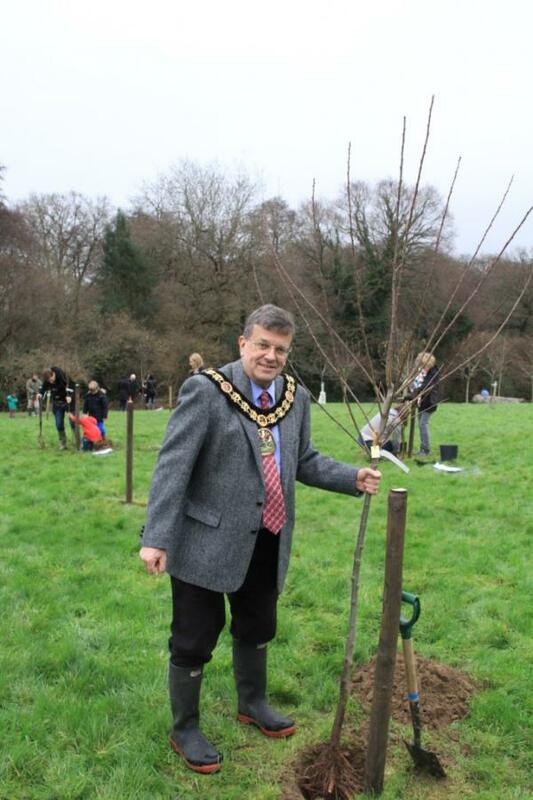 Amongst those planting the trees was Tunbridge Wells Mayor David Elliott, the Kent High Weald Partnership (who manage Hilbert Local Nature Reserve within the park) and the Parks own Friends Group. 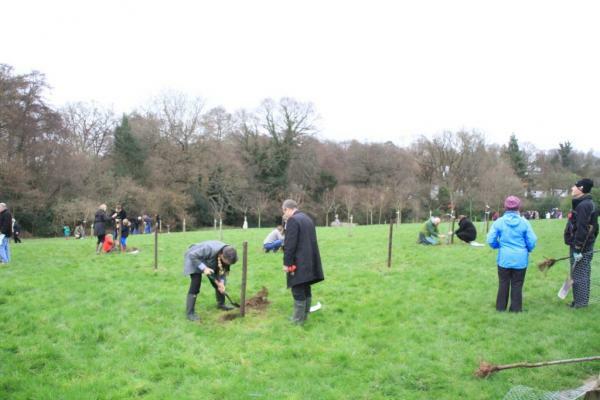 After each tree had been planted, the ancient blessing ceremony of wassail was performed. 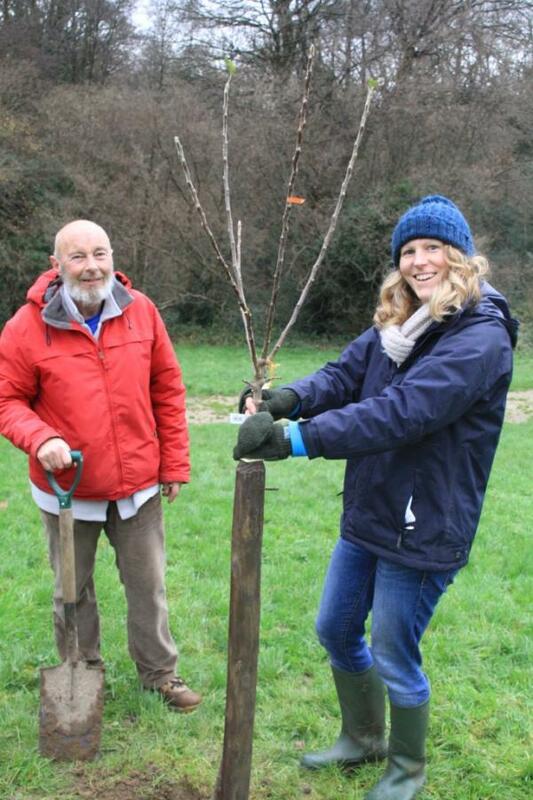 This involved singing a song to the tree and pouring cider over its roots, encouraging the tree to grow and produce a good crop. 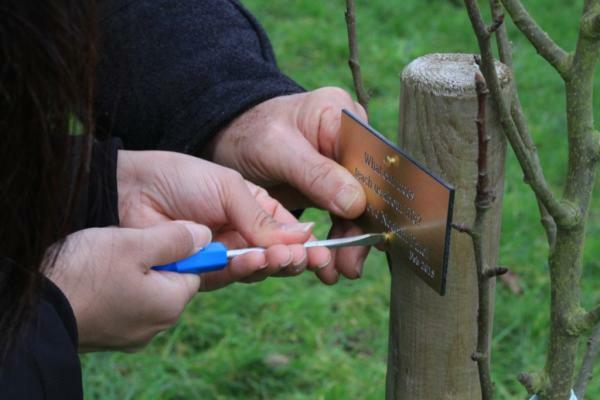 The day also saw dedication plaques being placed on the first phase of planting, each with a dedication from the sponsor, including one from John Scholey, Tunbridge Wells Town Crier. 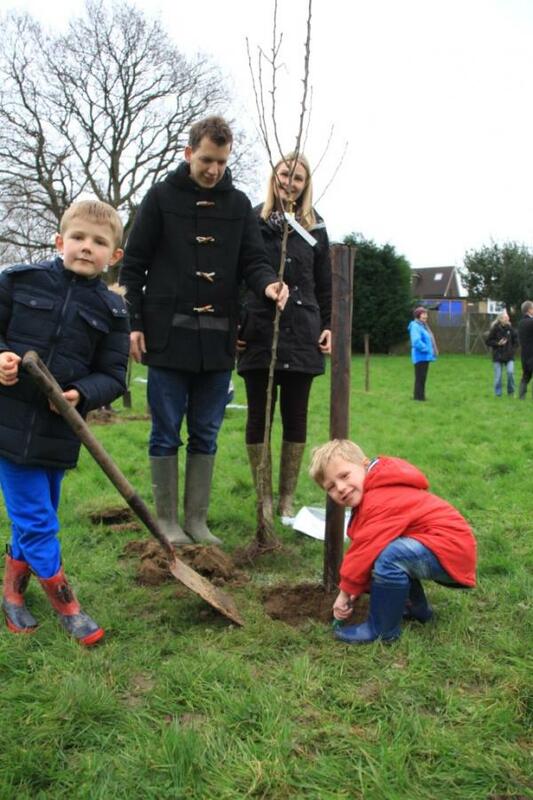 This brought the total of trees planted in the Community Orchard to over 65. 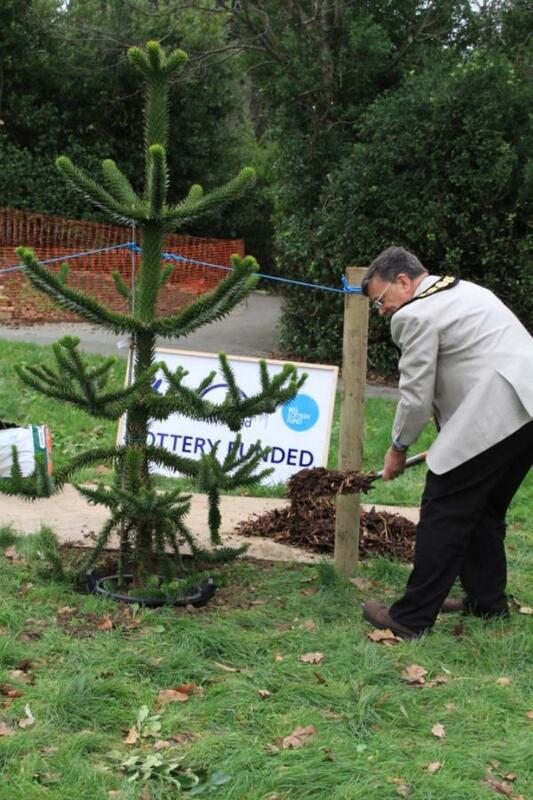 This fantastic addition to the Park is really starting to take shape now. 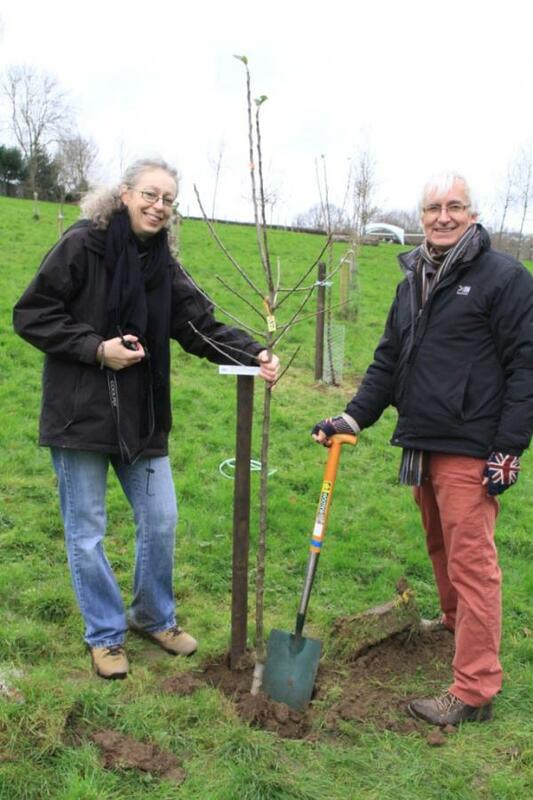 The involvement of local sponsors brings a real sense of community involvement and ownership to the orchard. 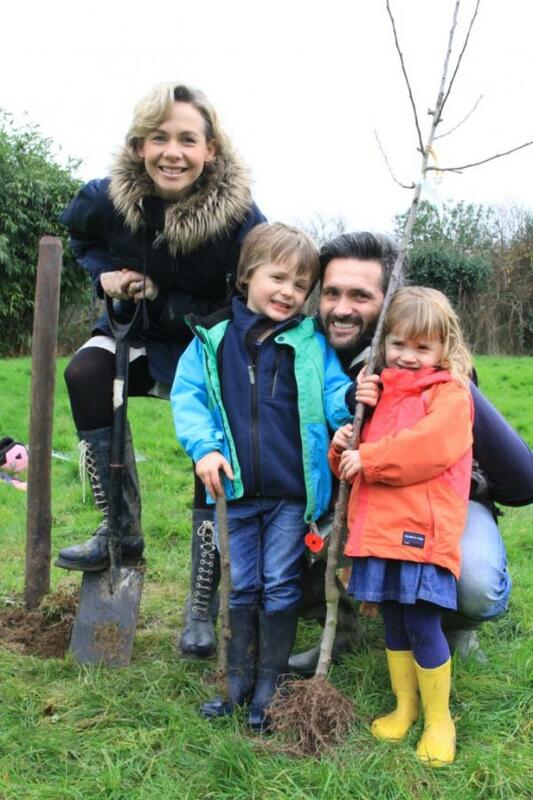 The final phase of planting will take place in 2016 and will see the orchard fully stocked with a wide variety of fruit trees. 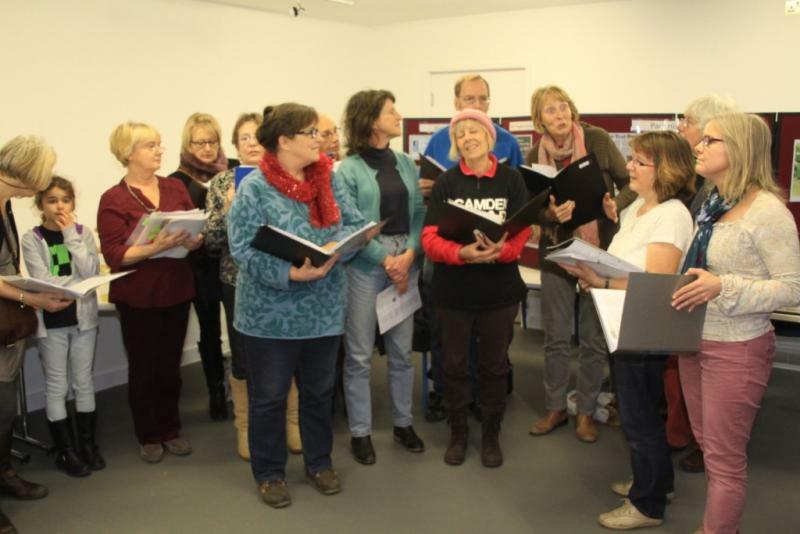 5th December was a busy afternoon, as immediately after the tree planting we welcomed the CREATE Community Choir for the first Christmas Carols event in the newly refurbished Hub. 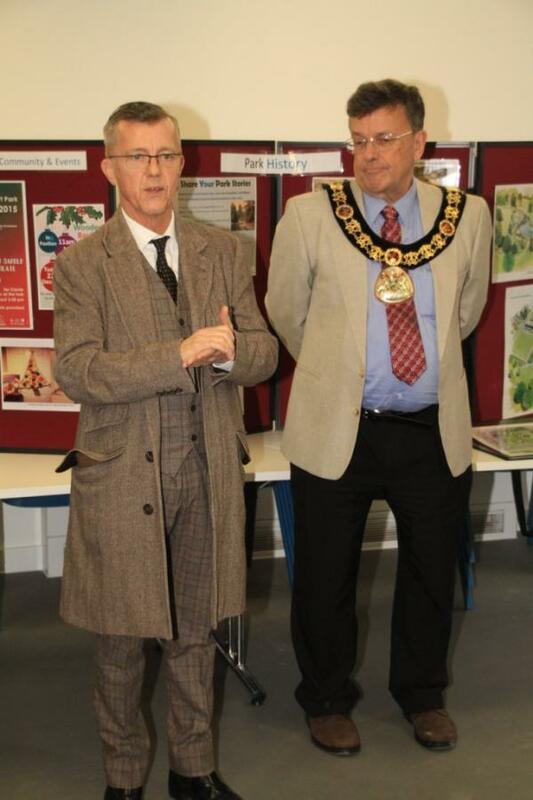 FoGH served mince pies, along with the choice of mulled wine or mulled apple juice. 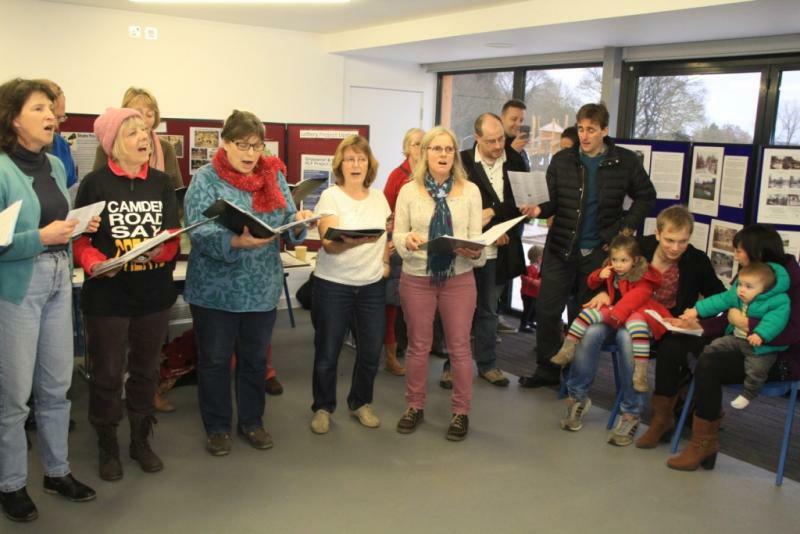 Local families joined in with a selection of traditional and modern carols. 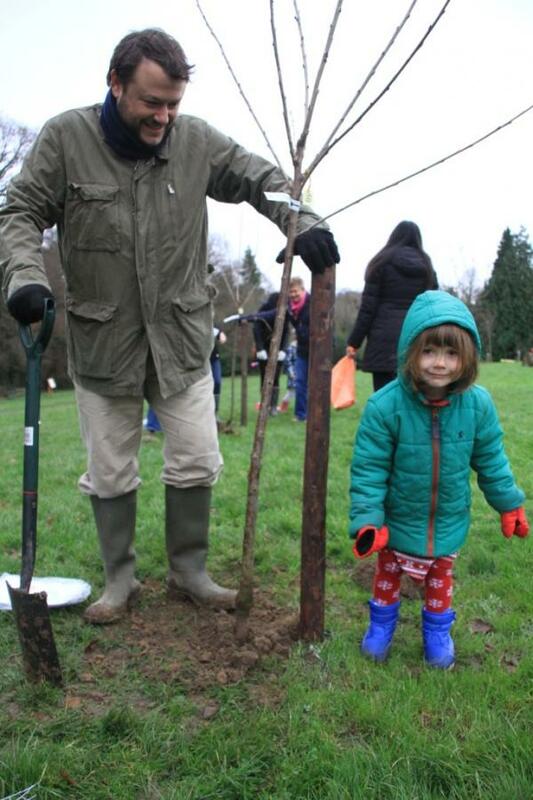 The tree planting participants were pleased to get out of the wind and sing along with the carols. 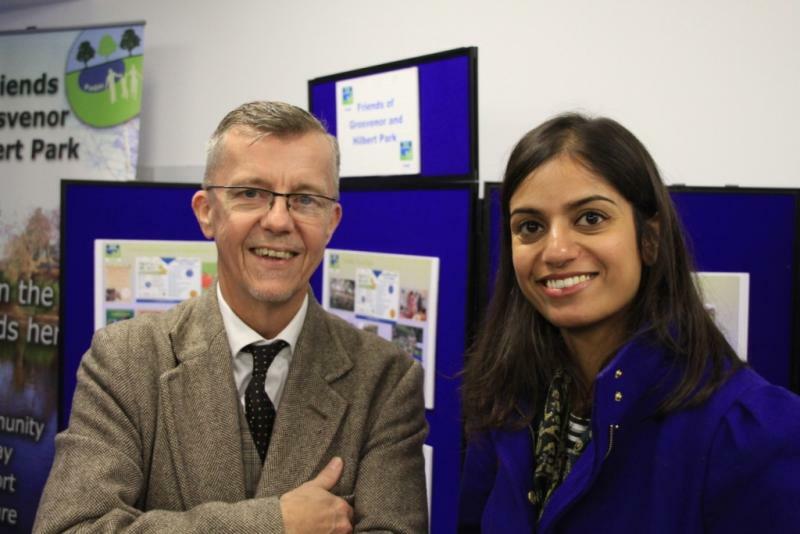 A most enjoyable way to begin December, especially inside a warm and welcoming building. 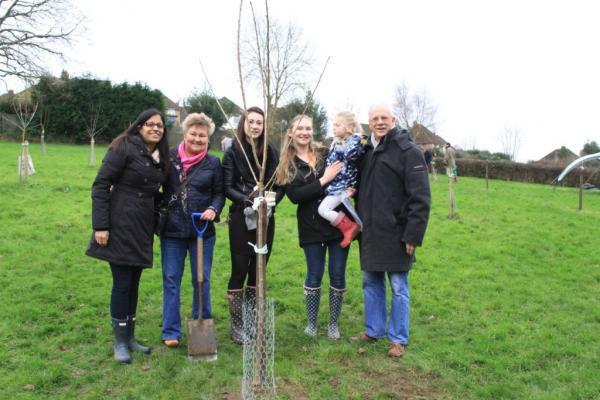 On Saturday 5th December local dignitaries and Lottery Fund representatives joined local people and FoGH members as the first trees were planted in the wetland area. 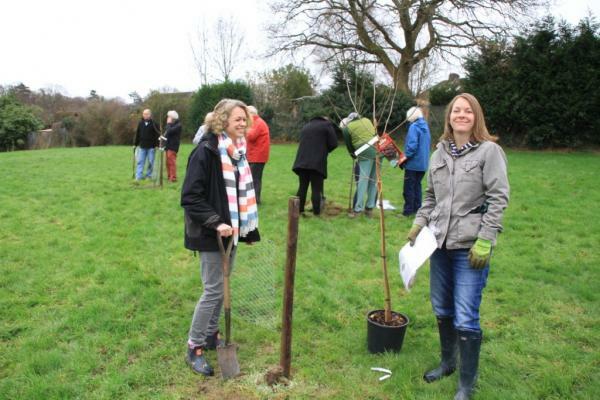 Friends Group chairman Liz Edwards welcomed us to the Community Hub and explained how the trees are being planted in partnership with Bedgebury Pinetum. 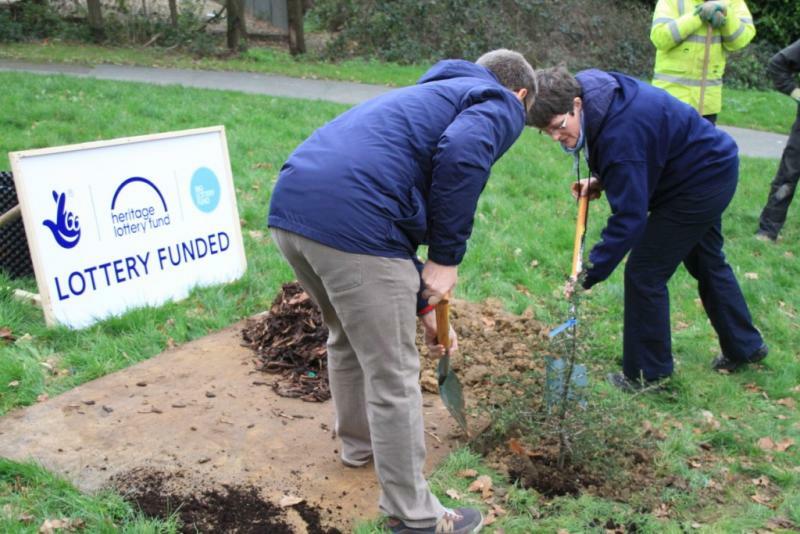 After short speeches by the Mayor of Tunbridge Wells David Elliott and Heritage Lottery Fund SE committee member Alistair Fairley, it was outside to get the trees planted.